When the election happens, it must count from the day of declaring the new constitution and the day of declaring the new act composing of the election; the closest date is in December 2017; the latest is in the middle of 2018. After electing the senators: having the right to select the Prime Minister, the National Council for Peace and Order may use the power through senators they selected to determine the direction of the country. The score of Thai democracy before the revolution was at the 63th rank. Meanwhile the Thai football team was at the 130th rank. If we have the hope for the Thai football team, we must have the hope for Thai democracy. 2016 has passed us by and the New Year is here. In terms of the politics, 2017 might be the last for the power of the NCPO because the time when Thais step into the election booth is coming very soon and leads to various questions to which you can find answers. Next year, will the election take place? What will the new government look like? 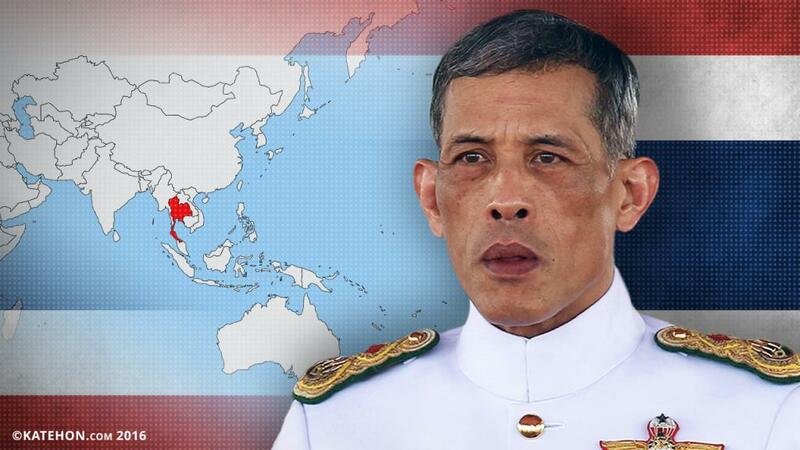 How much power does NCPO have on the election, and whether it takes place? When will we have the election? One of the important pieces on the timeline of Thai politics next year is to keep to the road map which is the new election, bringing Thailand back to the army of democracy. Before the election can take place, a lot of important conditions must be met. It begins with the declaration of the new constitution passed by the referendum last August. It depends on the ruling of the king when to use it. When the constitution is declared, it is necessary to draft four acts which define the process of the elections - the act about the election committee, the act about electing the house of representatives, and the act about political parties. These must be done within eight months of the declaration of the constitution. After that, it cannot take more than 5 months, and then there will be the election. This means that if the constitution is put into effect in January 2017, the soonest the election will be in December 2017 or at the very latest, in June of 2018. ''In asking what Thai politics will be like next year, it is expected that there will be no changes from the last two years because the things won't change until the election. You can observe that even though the new constitution will be declared and the temporary one will be nullified, the 44th section, which is the special power of the revolutionary council will be used until there is a new council of ministers from the election. The 44th section is an important power according to the temporary constitution of 2014. It gives the power to the head of the NCPO to order, restrain, and suppress or do anything even if these become affective on the legislation, the administration, or the judiciary. This power is not new because during the whole period of the revolution, there will be always this special kind of power; even if there is the election. The important question is if the special power of the NCPO will affect the election and the section of new Prime Minister. I think that the NCPO might not interfere in the election too readily, but it might use the power under the new constitution through naming the senators, which becomes an important variable of the election. From the additional question of the last referendum, there is the added issue accepted by people: ‘Do you accept that in order that the reformation of the country is continued according to the national strategy, it should be determined in the temporary provision, that during first five years after the first congress according to this constitution, that there shall be a conference together with the congress to be the body considering who should be the Prime Minister?’ “Why do you ask this question?” This question means that the NCPO would like to ask if the public agrees with them on letting the senators select the Prime Minister together with the representatives. Who selects the senators? It is the NCPO. When the added question is agreed through the senators whom NCPO selected, they will have the power to select the Prime Minister too. If you look at the election, the composition of new government is an issue which one should keep an eye on. There are three choices of setting the new government. The first choice is that the NCPO is the government and there is an outsider whom the NCPO selects to be the Prime Minster by inviting the big parties like the Phue Thai party or the Democrat party to join the government, which is difficult to have happen. The second choice is that the NCPO is not the government but that it has effectively the right to determine who will be the government by the votes of 250 senators to determine who will be the next Prime Minister, and in so doing, create government. The third choice is that the Phue Thai party and the Democrat Party hold hands and put a government together because it is the only way to make a government without the interfere of the NCPO. I see that the second choice tends to be the best choice. Is Thai democracy on its way down? “Sometimes, foreign analysts or mass media may not understand and say that Thai people voted for the constitution in order that they have less rights. I may analyze that the democracy of Thai people was on the way down. It may be true. I see that one important reason is when talking about the election, people will think about the political parties, the politicians, the arguments in the congress. When the NCPO takes control, no matter right or wrong, people think that the country is at peace. Therefore, to let the NCPO take good care of country is good. That is why there were those votes. It is not that people feel tired of democracy but people are so tired of politicians that they let the NCPO take good care of the country. In the past, the NCPO was in power longer than any other overthrown governments, not counting Field Marchal Sarit-Thanorm who was in power for 10 years. Moreover, the NCPO is in no hurry to get the country back to democracy. Although there is some pressure, it is so much that they are in a hurry to return the power to the people. Why not? It is because when most people talk about the democracy and the election, they always think of the politicians, the strikes, and the argument in the congress. These are our problems. I think that if we, as the owners of the country, know how to govern the country, the soldiers cannot interfere. But we do not know how to govern the country, and do not know how to solve the problems. This is our lesson. We cannot change the past but we can learn from the past and know how to stop democracy from failing again. Even through Thai democracy is seen as on the way out, it does not mean that we should be hopeless. This is because we think that, seriously, Thai people and the democracy are not far from each other. When the globe turns right, where does Thailand stand in the world map? We must admit that in 2016, the world was shaped by events ranging from Brexit to the result of the election of the United States where Donald Trump became the US President. For the trend next year, global politics faces several challenges. The important variable which changes the democracy is not any political party, but it appears that the world of the internet can determine the direction of Thai politics in the future. Besides, I finally add that it will not take more than 16 years from today. Thai democracy will be as successful as we have expected it since the revolution in 1932, because the people in this generation of social media will grow up and have the experience in participating in motivating Thai democracy to constantly step forward. Even in 2016, it was not the time for moving to democracy. I believe that the trend of this expectation may result in many people seeing the light at the end of the tunnel, and have more hope for Thai politics.